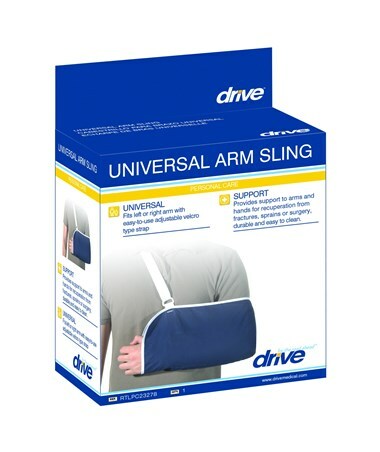 The Universal Arm Sling by Drive Medical is used in the recovery from fractures, sprains, or surgery of either the arm or the hand. 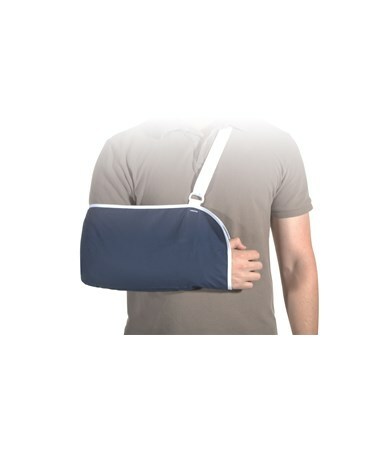 Universal: The Universal Arm Sling is sized to fit either the left or right arm of adults and youths. 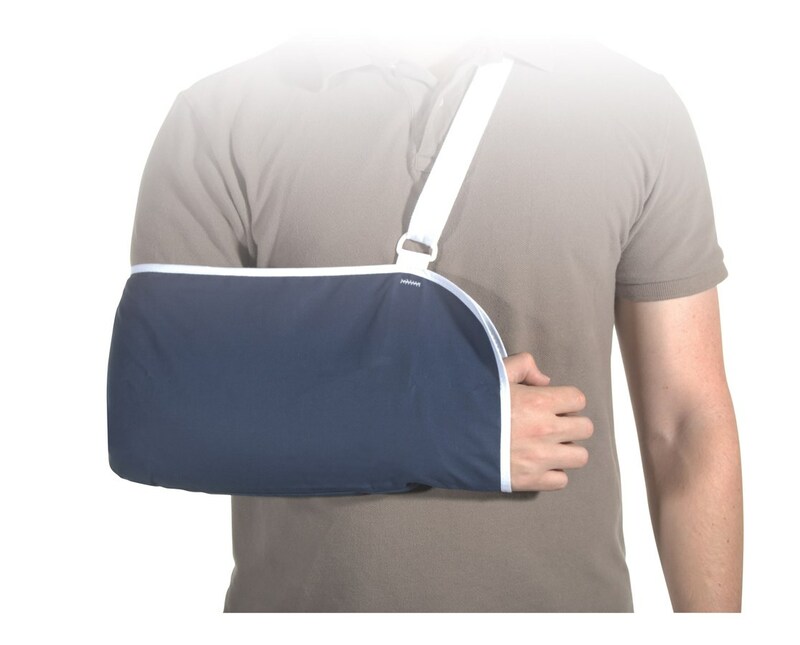 Adjustable: It comes with an easy to use adjustable sizing strap for accurate placement, to ensure a better recovery. Specifications: The sling's dimensions are 15" L x 6" W x 1" H. It is made of blue nylon. It comes with a 60 Day Limited Warranty.